When a fascist feels that s/he is free to set upon others with impunity, to insult, to threaten, to maim and to kill those that are deemed a menace to the national-racial body, then anti-capitalists are already in a position of weakness. The fascists sense their strength, perceive a change in the winds and tides of politics that make their appearance and action publicly presentable and defensible. 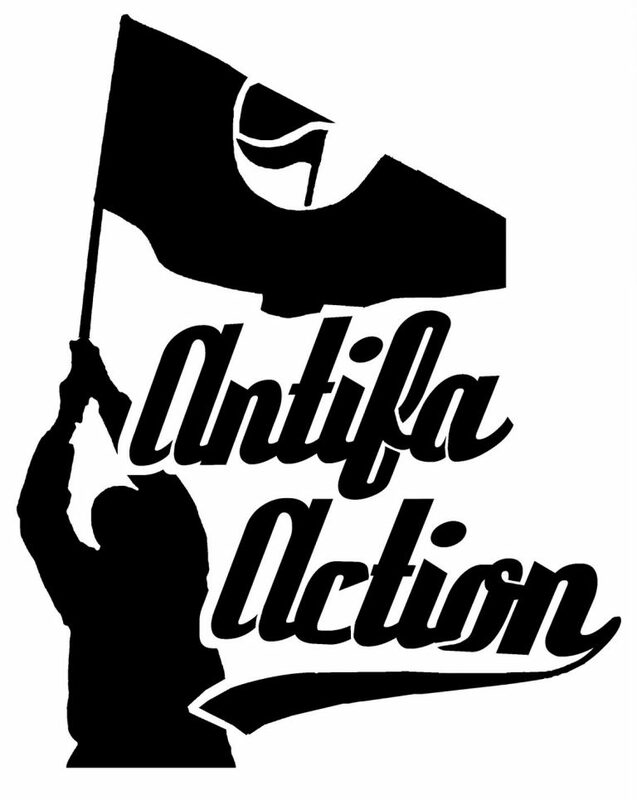 The anti-capitalists have lost ground, and must metamorphosise into “anti-fascists”, already a reaction to the rise of fascism; perhaps too late, or perhaps not. But now battle lines must be drawn, violence called upon, with uncertain consequences if the battles to follow fail to uproot the plant of which fascism is but a fruit, which is capitalism itself. On the 3rd of February, a young fascist by the name of Luca Traini went on a two hour drive-by shooting rampage in the central italian town of Macerata, wounding six africans. Their crime was being migrants, “black africans”, foreigners, the “others” that so many italian politicians openly condemn and threaten to deport en masse, for fear that they destroy the italian nation. Those who can be murdered have been labelled. The “democrats” and fascists can now speak openly of deportation and those on the ground may kill. Fascist politics has become, in many parts of europe, the new “normal”, and those populations to be made superfluous are being catalogued and controlled. If we, if the many, fail to see beyond the fear and terror, fail to grasp the source of this violence, then the many may fall. Macerata is a city of the Italian provincial interior, like all the other cities of Italy, as well as the suburbs of Milan, Rome, Turin, Naples, etc. In the depths of this provincial country, hatred easily grows and explodes; you can call a woman an ape (in Fermo) and kill her husband who defends her. A rabid and visceral province, like that of Florence, where two Senegalese were killed seven years ago, or Busto Arsizio, where the bonfires of the women who think differently are returning, even if, fortunately, only in effigy. And many others, too many, acts of violence carried out by organised gangs, fed by the campaign of hatred of the Northern League, Casa Pound and Forza Nova, tolerated by many others, denied by the media and useful to make people forget the real problems of this country, drowning them in a war between the poor. [F]ascism is primarily violence: physical violence, oppression, killings, the disappeared, massacres, wars, and the negation of freedom, racism, discrimination. Fascism drowns refugees at sea or has them freeze a«at the border. Fascism is not a passing moment in politics that can be more or less authoritarian, a sweet dictatorship, a … “the Italians first”. There has been no political idea in this country that has not contributed to the death of so many Italians like fascism. Faced with this, there are those who think that an article of the constitution, a provision of law, a parliamentary motion, an agenda or an institutional commitment can stem the rising violence. In truth, fascism is fought by refusing violence, recognizing diversity, not accepting any kind of provocation and also guaranteeing health, school and work for all. Fascism is fought by extending civil, labour union and social rights and freedoms, not by reducing them. Above all, fascism is fought by assuming the courage to face political violence, its banality of evil, the intrinsically anti-human nature of every fascist thought. The provincial Italy has again produced violence. Some will say “he is an insane madman”; many unfortunately already are applauding the shooter of the 3rd of February in Macerata, celebrating him with the honours of a comrade. Most people will pretend that nothing has happened. Until the next act of violence, until, perhaps, we will escape a lynching. Or until it is discovered that it is too late to say and do something against fascism.